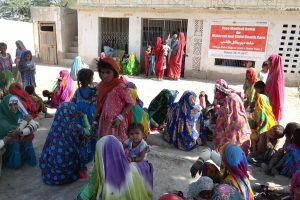 Home Newsroom Stories Free Medical Camps – Ensuring health rights in Sindh! 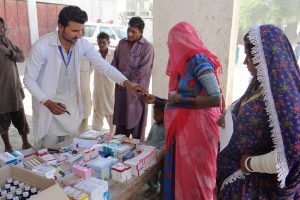 Free Medical Camps – Ensuring health rights in Sindh! 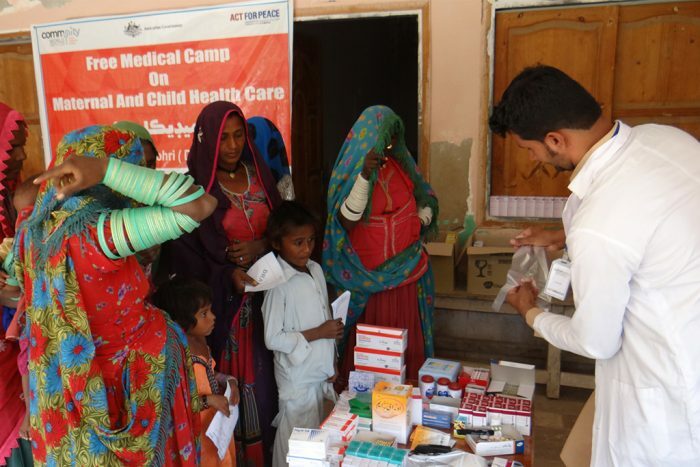 Community World Service Asia, with the support of Act for Peace (AfP) has set up three Rural Health Centres (RHC) in in the villages of Nabiser, Dhoronaro and Hyder Farm, located in the Umerkot district of Sindh in Pakistan since 2015. These health centres are run and managed by Community World Service Asia and are supporting more than 100,000 people in the district. 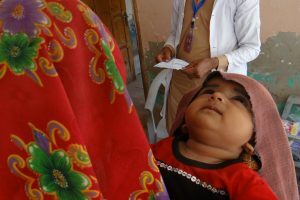 The RHCs provide routine OPDs, Reproductive Health Services, Family Planning Services, Health Education Sessions, Antenatal and Postnatal services, and also provide free of cost medication and a full range of preventive health coverage. The community mobilizers assigned with these RHCS regularly visit and monitor the catchment population to mobilize, organize and increase the awareness of the communities residing in these areas on health issues. 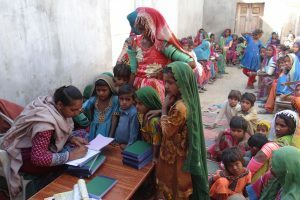 They are also delivering health awareness sessions for men and women in their villages and for children in their schools. 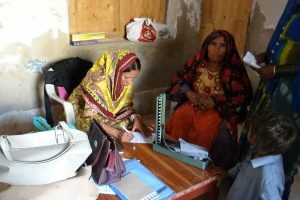 Access to well-equipped health facilities is a major issue for most rural communities in Sindh. 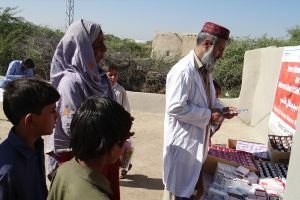 In order to provide health services nearly at the doorstep of these deprived communities, free medical camps were organized in three different Union Councils in the farther catchment areas of the RHCs. 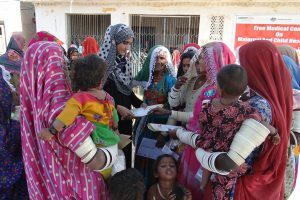 The religious ethnicities of the communities where the medical camps were set up were mainly Hindu and Muslims, belonging to different sects and castes of each religion. The Medical camps services focused primarily on Mother and Child Care. The first two camps were set up at the Syed Muhammad Memon village and Abdul Majeed Arain village through the 24th and 25th of November, while the third camp was organized at the Daim Nohri village on the 30th November. Apart from delivering free consultations, free medicines were also provided to patients visiting the camps. Acute Respiratory Infection (ARI), Gastritis, Diarrhea, flu and fever were found to be the most common health concerns while diagnosing patients at these camps. 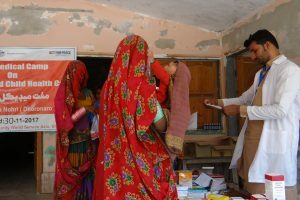 Antenatal cards were also issued to pregnant women visiting the medical camps and were advised to visit their nearby Rural Health Center for further consultation and medication. 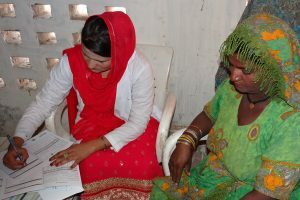 The lady medical officers at the camps shared key awareness messages on the importance and methods of family planning. Community Mobilizers conducted sessions on Child Spacing, family planning and the importance of check-ups during pregnancy among camp visitors as well. A focal person from the town committee also visited the medical camp and appreciated the efforts of the health team involved and emphasized on the need to conduct these camps on a monthly basis. The three villages where the camps were set up were all at a distance of seven to nine kilometres from the district of Umerkot. These areas were identified as the most vulnerable in terms of access to health facilities and frequency of diseases. Most of the community members from these villages are unskilled laborers and farmers who cannot afford expensive medical treatment or travel costs to health centres in the cities.